Joice Mujuru’s opposition party has split into two groups, the ex-vice president-led National People’s Party (NPP) and the National People’s Party Democrats (NPPD). This comes as the NPP has been rocked by a spate of desertions, with many accusing Mujuru of being captured by a small cabal seeking to push their factional agendas. The Daily News heard that meetings have been extremely fractious, with much violent argument, barracking and interminable hair-splitting as every tiny point is dissected and analysed. 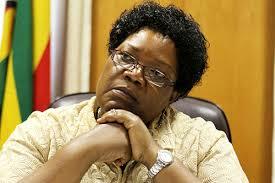 The disgruntled party members first wrote a letter to Mujuru last week, seeking her redress to their concerns, but claim that she did not take heed of the early warnings. “Following the refusal by the NPP president to address our concerns as outlined in our petition on outstanding grievances of 12/12/2017 addressed to ..Mujuru, we, the aggrieved members of the party do hereby denounce the NPP top five leadership consisting: the president ...Mujuru, the vice president John Mvundura, the vice president, Sam Sipepa Nkomo, the national secretary-general Gift Nyandoro, the national chairperson Dzikamai Mavhaire,” the splinter group said in a statement yesterday. The breakaway party comprises the party’s national youth chair Lloyd Masiya, deputy national organising secretary Susan Chuma, secretary-general Diaspora constituency Beulah Chavarika and secretary for Education Enock Mapanje. According to the group, the five top leaders have presided over the death of democracy and constitutionalism in the NPP and have “captured” Mujuru to an extent that she is subverting the will of the membership. “Engagements are ongoing with like-minded individuals and entities, and our door is open to all progressive partners who are genuinely committed to our cause which remains to free Zimbabwe from the shackles of dictatorship and transform it into a functional democracy which practices constitutionalism. “We urge and advise all serious people to join us in our quest for the true liberation of our great nation and beloved people,” the group said. Efforts to get a comment from the NPP leadership could not yield results yesterday. As the party continues to disintegrate, NPP’s provincial treasurer Canaan Matiashe, organising secretary, Albert Mukaratirwa, secretary for Information and publicity Norman Mbizi and provincial chairperson Garikai Dzimunya, also tendered their resignation letters on Monday. “Following the recent provincial executive meeting and management committee meetings (held on December 16th 2017), the entire episode made me feel NPP as an organisation needs to move and progress. “Thus, I am stepping down as the provincial chairperson for Manicaland. After joining the party at its inception in Mashonaland Central when it was still ZimPF, and later opting to work from my home province, I went on to put everything to the advancement and growth of the party I love so much,” Dzimunya said in his resignation letter. The current resignations are taking place at a time the party has also been hit by mass defections, with some joining Zanu PF and the MDC. Mukaratirwa also said that it was in the best interest of the party for him to resign. “I, as a person believe in things that are done openly and in good faith. This I failed to get in our beloved party NPP.